The three objects, two vessels and a piece of jewelry are part of a unique Scythian grave context of the 4th cent. BC that was discovered in 1830 in the royal tumulus Kul Oba in Crimea. 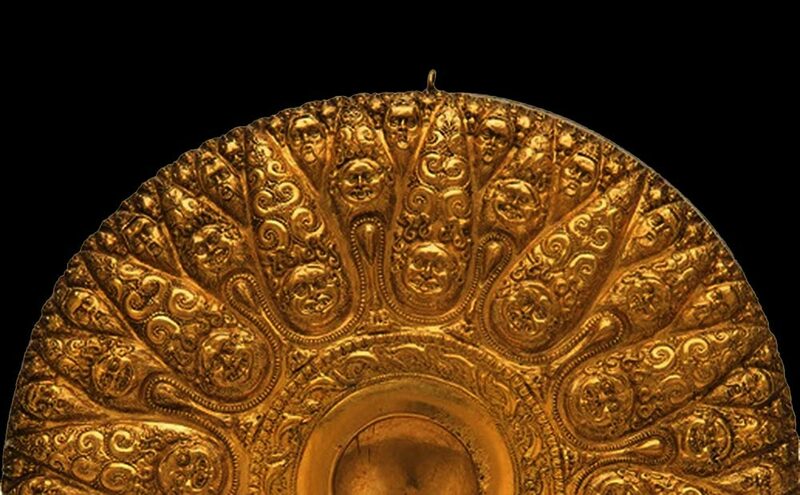 These masterpieces of metalworking were crafted by the Greek colonists at Crimea that had developed a close relationship with the nomadic Scythians, based on the commercial exchanges between them. The three objects will be displayed in the foyer of the Acropolis Museum from 11 March 2016 to 2 October 2016.